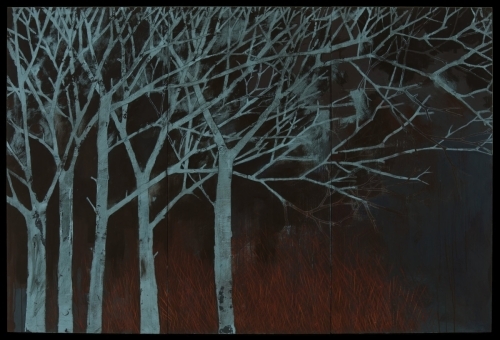 Three large panels create this image of bare trees in a meadow. Acrylic, wax, wax pencil, crayon, graphite on Birch panels. 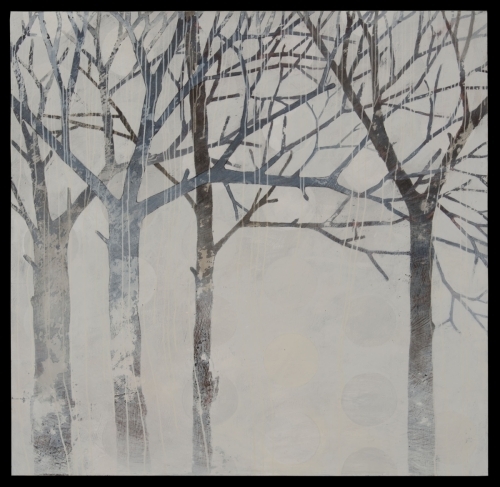 Turning of Winter into Spring in 6 panels. Birds fly across a changing, patterned, geometric landscape of cold grey into warm golds. Acrylic, wax and wax pencil on plywood panel. 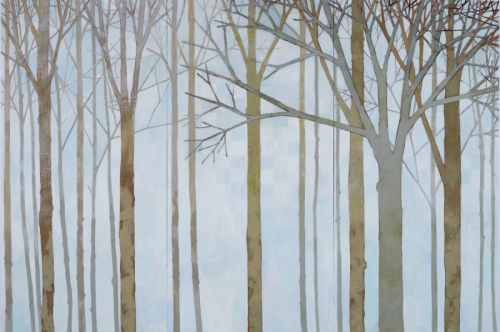 Grey-blue trees surrounded by a wintery landscape with subtle circular patterning. This is the shift in the seasons, from deep winter to start of spring.